On our romantic honeymoon in Las Vegas we will indulge in the charming settings of the studio room complete with a kitchenette. 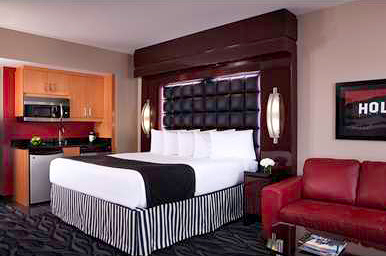 We will enjoy floor-to-ceiling Las Vegas views to see the best of the Las Vegas Strip. Delivering comfort with a king size bed and a spacious seating area with a leather sofa, this studio offers convenience with a nicely furnished kitchenette that includes a microwave, small refrigerator, glasses and utensils. 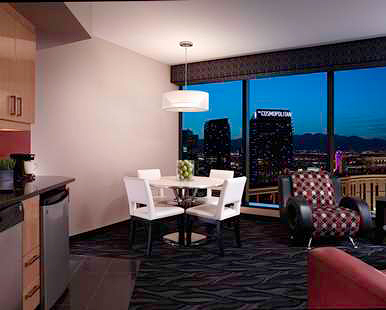 The one-bedroom suites offer living space with a wrap-around leather sofa and floor-to-ceiling views of Las Vegas. With the touch of a button, we will lower the curtain over the windows and the living room will transform into a true theater experience with an 8-ft wide screen and HD home theater projector. Also included is a nicely furnished kitchen complete with a dining area, a master bedroom with a king size bed, a master bath with a jetted tub, separate shower, a 15-inch LCD TV, lavish amenities, and more. We will indulge in the Two Bedroom Suite on our honeymoon. This spacious sanctuary with floor-to-ceiling window views boasts a living area with a sofabed, an 8-ft wide screen and HD home theater projector, three 42-inch TVs, two bathrooms with lavish amenities and one with a whirlpool tub and separate shower. 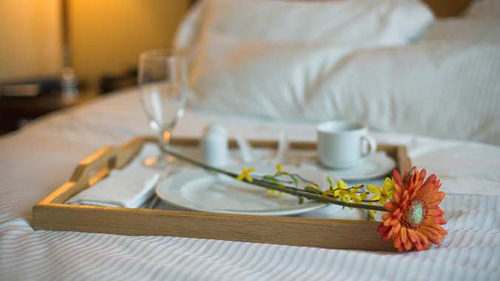 Both bedrooms boast king size beds with luscious linens and plush pillows. 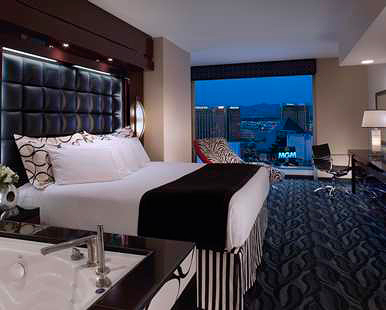 Junior Suites provide additional space and unforgettable floor-to-ceiling Las Vegas views. Our spacious suite has a king size bed in the master bedroom and a separate living area. The living area includes a nicely furnished kitchenette, a seating area with a leather sofabed, chair and a 42-inch LCD HDTV. A luxurious master bathroom includes a bathtub and shower, a 15-inch LCD TV and lavish bath amenities. With the press of a button, we can raise or lower the full floor-to-ceiling glass window curtains in the living area or the master bedroom. 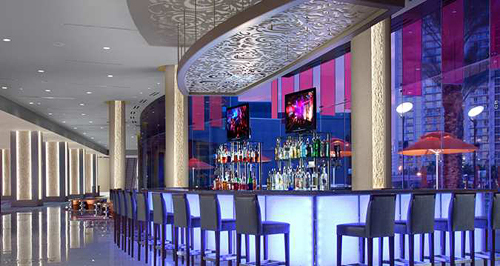 In the bright, airy hotel lobby we will unwind after a day of walking the strip with our favorites cocktails. The Lobby Bar is also good for grab and go food items, as well. We will dine and relax from our lounge chair or enjoy the views from our private cabana at Oasis Bar and Grill. 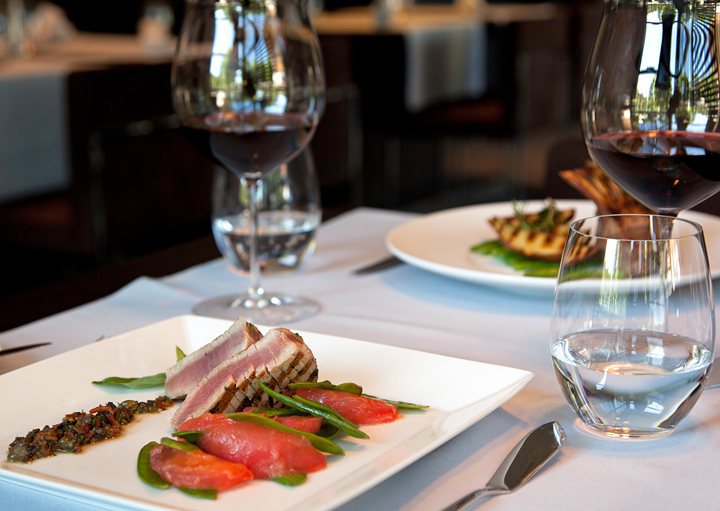 We’ll choose our ideal setting while selecting from full food and specialty cocktail menus. Presiding over the center of the Las Vegas Strip, the sleek 56-story tower is adjacent to the Planet Hollywood Resort & Casino complex and offers adjoining access to the 170+ shops and restaurants in the Miracle Mile. 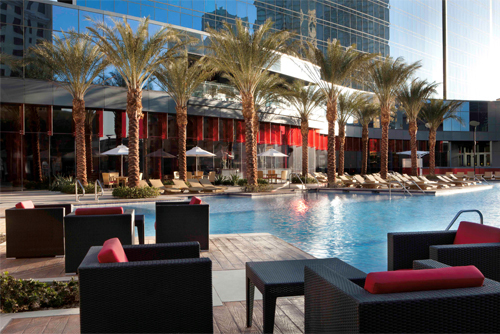 Just across the street, City Center and the Cosmopolitan complete the resort’s ideal access to the best of Las Vegas. 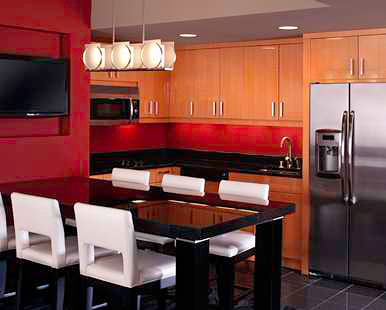 A variety of accommodations compliment any visit to Vegas - from stylish studios to grand suites with up to four private bedrooms, state-of-the-art entertainment systems and kitchens. A grand lobby overlooks a spectacular tropical pool, pool bar and 32 private cabanas. 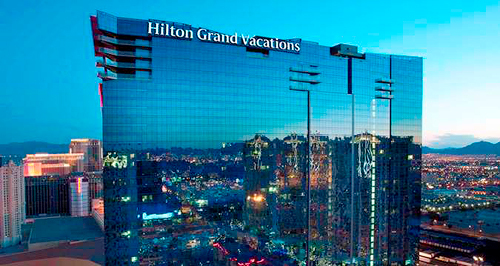 Elara, a Hilton Grand Vacations Hotel-Center Strip promises us an unforgettable honeymoon! Towering over the center of the Las Vegas strip, the sleek 52-story tower is adjacent to the Planet Hollywood Resort & Casino complex and offers adjoining access to the 170+ shops and restaurant in the Miracle Mile. Just across the street, we will find the Cosmopolitan and City Center. 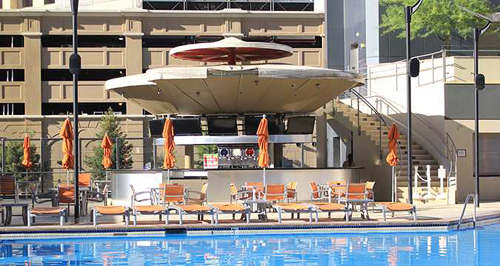 Elara, a Hilton Grand Vacations Hotel-Center Strip boasts a range of spacious guest rooms, stylish studios and grand suites, a fitness center, a tropical outdoor pool, refreshing drinks and beverages at the Pool Bar and Lobby Bar. With a variety of exceptional amenities, Elara, a Hilton Grand Vacations Hotel-Center Strip will make our honeymoon that much more special! A chilled bottle of champagne will be delivered to our suite. We will make a toast to our romantic honeymoon in Las Vegas while taking in the views of the strip and the city from the comfort of our room. How romantic! A bottle of our favorite wine will be delivered to our room. We will make a toast to our honeymoon while taking in the stunning views of Las Vegas and the city. We will discover romance at its best! Our honeymoon will be enhanced with a private cabana for two! We will discover pure honeymoon bliss in our own cabana featuring exclusive amenities, and the ultimate in poolside elegance and intimacy.